A team of researchers from Ohio State University have made a major breakthrough, creating a way for solar panels to store electrical energy without using an external battery. 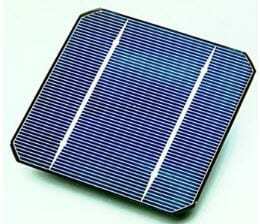 Typically, solar panels, and other photovoltaic systems, produce electrical power, not store it. Solar energy systems must rely on batteries in order to store the power they produce, but finding ways to enable solar panels to store their own energy may lead to less expensive energy systems overall. The research team is calling their new development “solar batteries.” The new system combines conventional photovoltaic technology with battery technology. The research team has developed a mesh solar panel with a molecular structure that allows oxygen to enter the device and power the chemical processes that allow its onboard battery systems to function properly. This is somewhat less expensive than a conventional battery system, which may be good news for solar energy in general. When it comes to renewable energy, cost is often a major issue that does not have a simple solution. In the solar sector, the cost of photovoltaic and battery technology are often considered barriers for adoption. Many consumers and businesses have expressed interest in solar power, but have opted for other forms of energy because they are more cost effective. According to the research team from the Ohio State University, their new hybrid device could reduce the costs associated with solar energy by 25%. Effective energy storage is another issue facing the clean power sector. Modern energy storage methods are not considered efficient enough to make renewable energy a viable alternative to fossil-fuels. As such, traditional forms of power are still preferred over newer forms of power. Developing efficient energy storage solutions for the clean power space has become quite important for many research and energy organizations in many parts of the world.